Students showing off new Knights gear. Boys volleyball versus Diamond Valley. 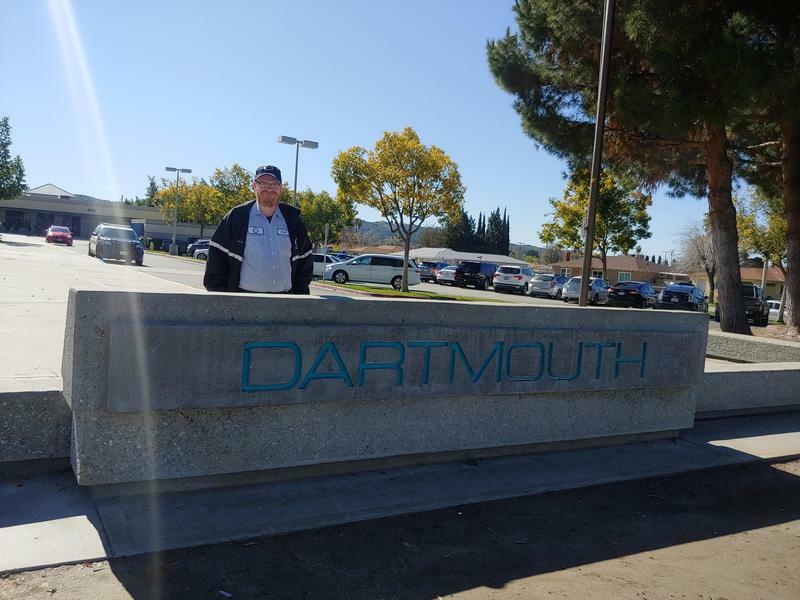 Dartmouth PLUS class students at the district office in Hemet. The Dartmouth Girls Volleyball Team in the Championship Game at Diamond Valley. Our principal, Mrs. Anderson, with our honorary principal for the day, Mr. Wallis. Dartmouth Zone students participating in a Restorative Circle discussion. The Dartmouth band led by Mr. Ambriz in their first performance of the year. Dartmouth TV Media class filming the Knightly News. Boys volleyball against Monte Vista. Mr. Pacheco's students at he annual Super Kids Hockey Tournament. AVID students take the pledge to go to college. Mrs. Simpson leads one of her Dartmouth Choir classes at their winter concert. Dartmouth students attending the Girl Power Summit on Saturday, March 16th. Our Counselors getting in the spirit of Hemet Unified's College Kickoff Week. Dr. Carson Scholar Winner - Riley R.
Dartmouth Spelling Be Champion, Ernie O., with Mrs. Kobayashi. Dartmouth girls soccer beat Rancho Viejo 3-1. Suicide Prevention Day at Dartmouth. Students wrote positive notes to each other. The undefeated Dartmouth Boys Soccer team being recognized at the district office board meeting. Boys Volleyball with a 2-0 win over Diamond Valley. Sheep eye dissection in Mrs. Simmon's Science classes. Avid students getting helping their school and community through service hours at Saturday school. 7th grade students dress up in red for "battle of the grade levels"
Red Out Day at Dartmouth. Although the support different colleges, Mr. Snyder and Mrs. Engel show off their red for in support of being drug free. Knights Nation!!! Dartmouth staff shows off the new Knights gear. Dartmouth alum and former softball player for the University of Washington, Taylor VanZee, talks to Dartmouth AVID and Pre-Avid students. 8th Grader Ernie O. finished 2nd at the Riverside Country Spelling Bee!!! 6th grade Dartmouth AVID at San Marcos. 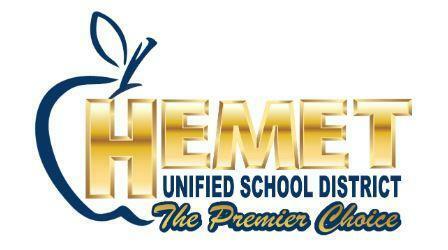 The Dartmouth Band won the middle school band category at the Hemet Christmas parade. Japanese students from Marumori, Japan, giving a presentation to Dartmouth AVID students. Girls Soccer against Monte Vista. Girls soccer versus Diamond Valley. Girls Soccer with a 5-0 win over Diamond Valley. Dartmouth boys volleyball beat Rancho Viejo 2-0. Click on the PDF to view a copy of the bulletin for this week. 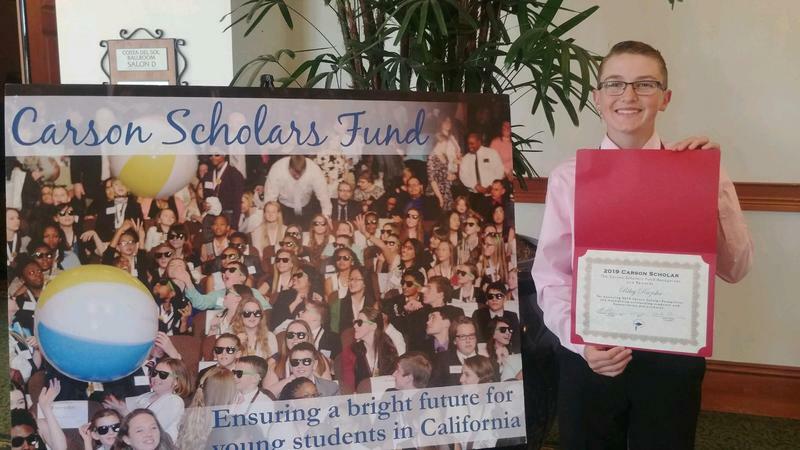 Congratulations to Riley R. for winning the Dr. Carson Scholar Award for the 2nd year in a row. This is an amazing honor for him and only a handful of students from the western United States are selected for this award each year. Congratulations, Riley. Dartmouth is extremely proud of you. If you would like to learn how to play lacrosse or work on your skills, please see the flyer below on the 3rd annual Bulldogs lacrosse camp this summer. Email rberkows@hemetusd.org if you have any questions. Please click on the PDF and the website link to get more information on the Dartmouth Water Filling Station Campaign. Congratulations to Mrs. Dobbins and all the students and staff at Dartmouth for earning the AVID Site of Distinction Award. This honor is awarded to a small subset of AVID school campuses that have demonstrated outstanding commitment to their students. This distinction: · Illustrates a commitment to equity and opportunity for all students on a campus. · Promotes rigorous academic opportunities for students throughout the campus. · Shows a commitment to superb instructional practices across the school. Attention all students and parents...there are a number of summer school opportunities for your child this summer here at Dartmouth. Please read the information on the attached PDF's for more information. Dartmouth community - Update on the road construction. It was scheduled over spring break, but unfortunately the material suppliers were not able to deliver all the materials needed. They are still waiting on some supplies to come in so this may last up to two weeks, depending on when they can receive what they need! Thank you again for your patience and safety when dropping and picking up students. Just a reminder, please do not block the driveways, let students cross anywhere other than cross walks and please drive slow! Thank you for keeping our students safe and obeying traffic and pedestrian laws! Please click on the PDF to read a letter from our principal, Mrs. Anderson, on state testing this year. 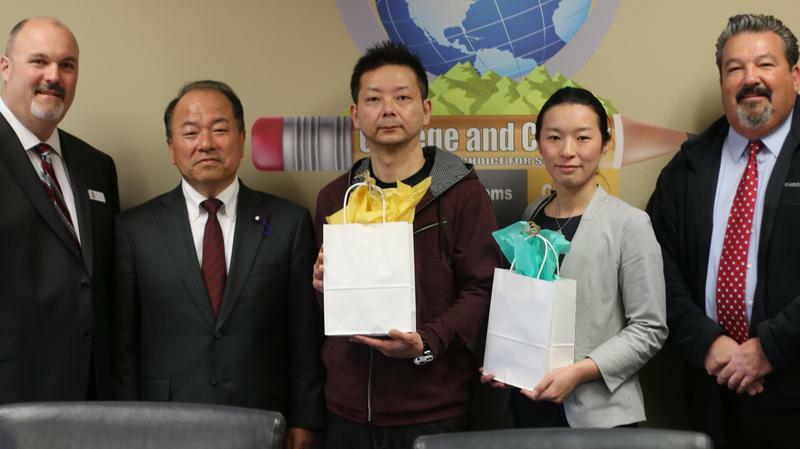 Japanese exchange students from from Marumori, Japan and are visiting Hemet during the week of March 25th and are following their Dartmouth host students around campus all week. 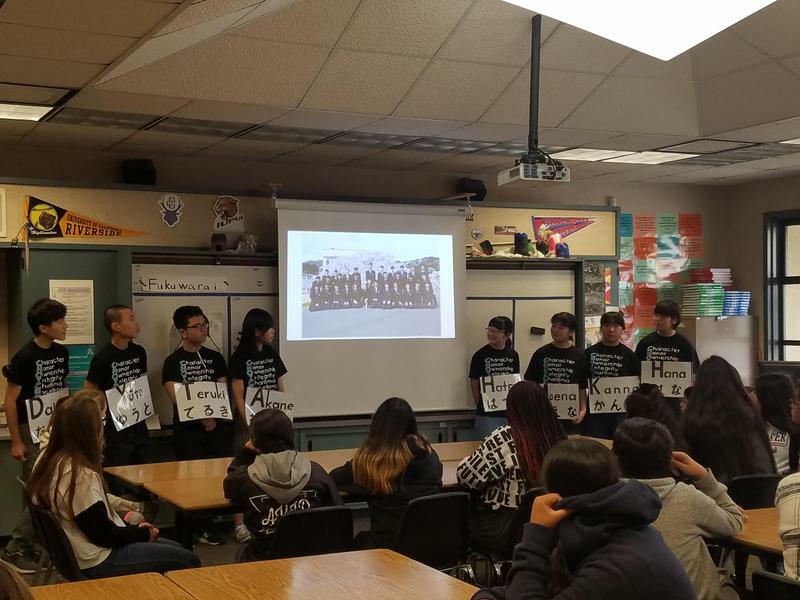 They gave presentations to our AVID classes on Wednesday, March 28. Check out some of the pictures from their presentations. 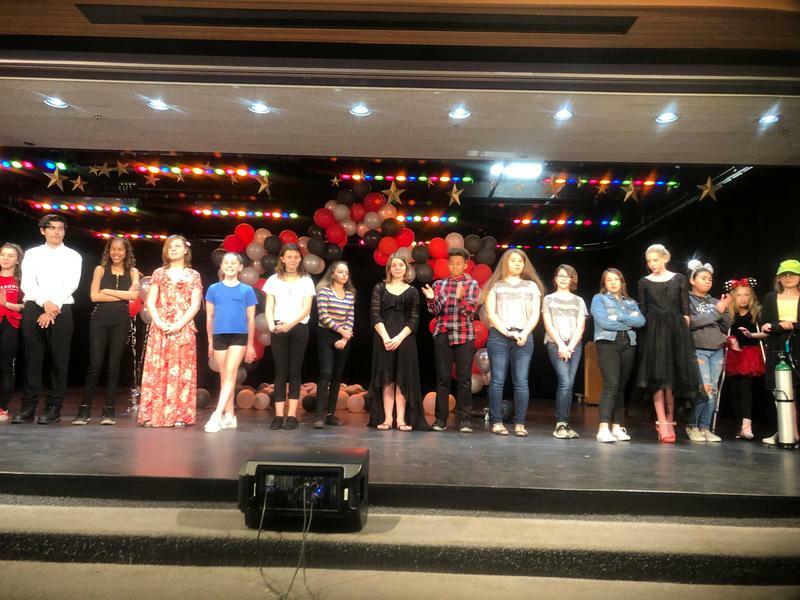 Check out some of the pictures from the "Dartmouth Has Talent" show performed on Thursday, March 28th in the MPR for all our students and staff. The performers did an incredible job!!! 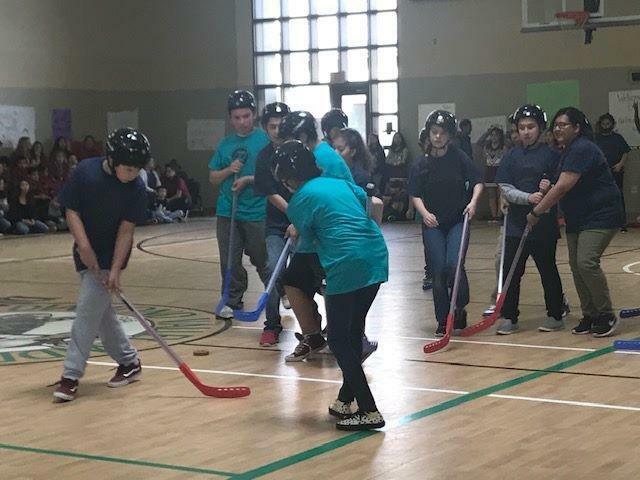 Congratulations to Mr. Pacheco and his students for finishing 2nd place in the most recent Super Kids Hockey tournament played at Diamond Valley. The kids did a great job of representing Dartmouth!!! 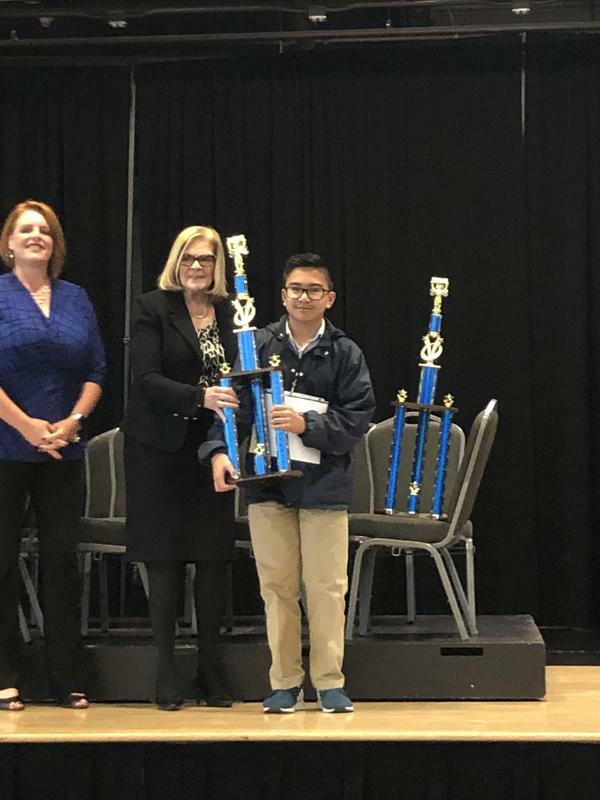 Congratulations to 8th grade student, Ernie O. for his amazing accomplishment of finishing in 2nd place at the Riverside County Spelling Bee on Tuesday, March 19. There are over 425,000 students in Riverside County and Ernie beat them all except for one student. Congratulations Ernie. What an amazing accomplishment!!! 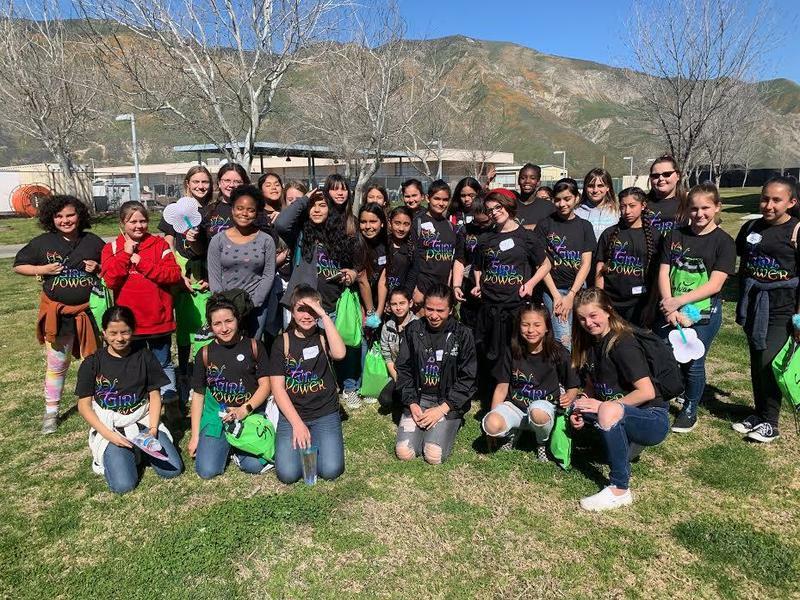 Here are some photos from the Girls Power Conference that our girls attended on Saturday. Dartmouth was very well represented and we had the most students to attend out of the entire valley. Our girls had a blast!